The GMD 5251 TC mower is an excellent solution for anyone looking for a simple, robust machine that is easy to handle and provides high operating output without having to invest in a tractor with front lift system and power take-off. Boost the forage drying process with wide forage delivery. 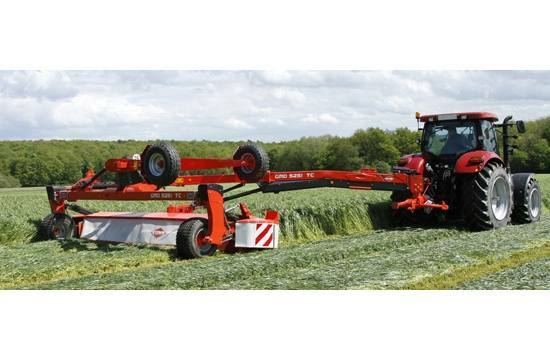 The large wheels are positioned on the outside thereby preventing the machine from running over the forage. Halve downtime with fewer transmission systems: time spent greasing is significantly reduced. Forget the chore of changing oil with the OPTIDISC cutter bar: it is lubed for life with synthetic oil. This mower is compact for transport (2.80 m) and no time is wasted setting it to transport/work position: it takes less than 10 seconds.